One of my favorite parts about St. Patrick's Day is that it is associated with rainbows. My kids love singing songs about the colors of the rainbow all year long and there is just something that makes me happy whenever I see a rainbow! This week my preschooler wanted something to do while her big brother (my 1st grader) did his homework. 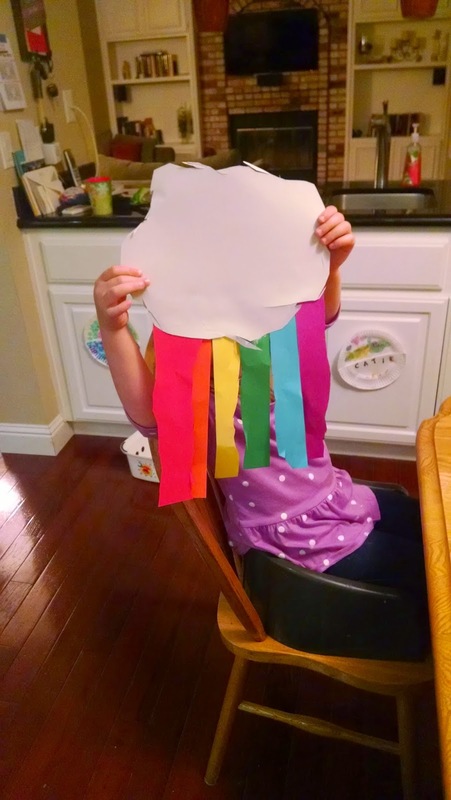 We got talking about St. Patrick's Day and she assigned herself to make a rainbow. 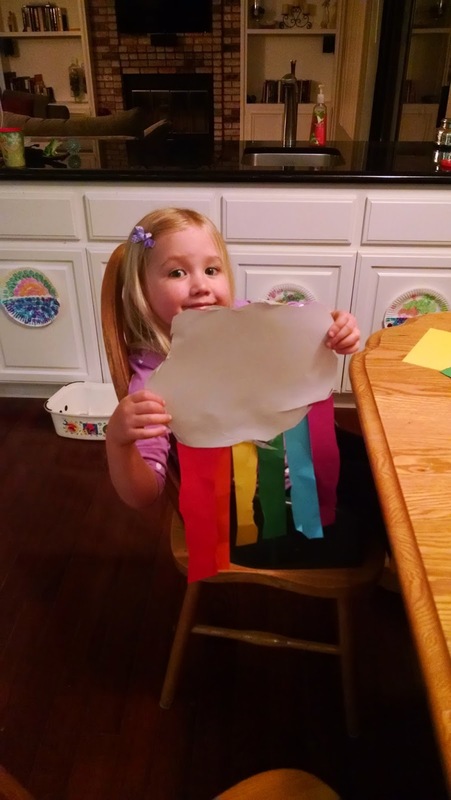 To make this paper rainbow project it only took a few minutes and a few snips! I apologize in advance for the terrible photos! My phone just doesn't take good shots once it gets dark. This activity required very little prep ahead. I just drew a very simple cloud on a white piece of paper and then started lines on each of the colored pieces of paper just to give my daughter a starting point. Once strips were cut in each color and the cloud was cut out then we glued the strips to the cloud and VOILA! Our cute and easy paper rainbows were done! My daughter has always struggled a bit with her fine motor skills so we've been working on a variety of fine motor skills focused activities over the past little while and I have been amazed at how much progress she has been making! I have avoided doing scissor skills activities for awhile because they have always resulted in meltdowns and complaints that snipping was too hard... even just super tiny snips. 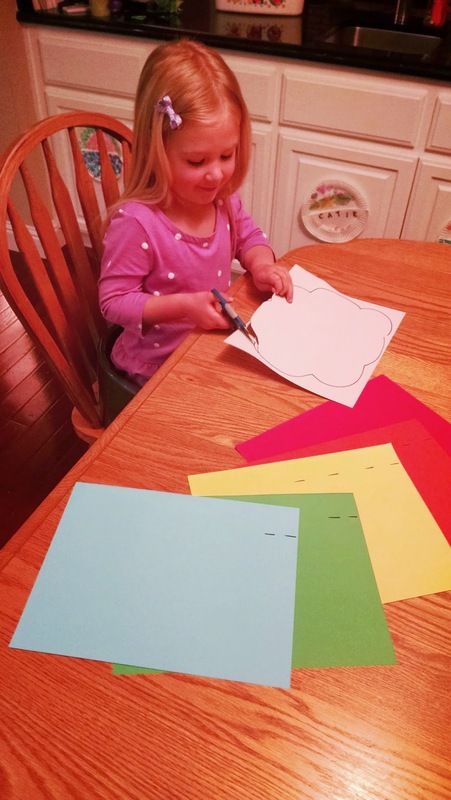 Now that my daughter is more excited about snipping and cutting we decided to tackle several fun St. Patrick's cutting crafts. 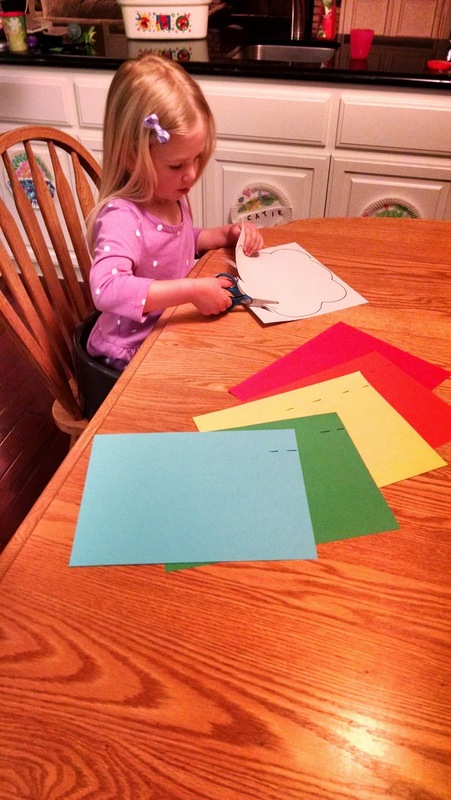 Over the next few days we'll be sharing several easy preschool cutting crafts with you! We'd love for you to share any other favorite activities you do with your kiddos to help them work on scissor skills or build their finger muscles! Come share in the comments here or stop by over on our Toddler Approved Facebook page and share there. If you want to focus on name recognition as well, try this simple Rainbow Name Hunt variation that is fun to play!